Security field is filled with huge career opportunities as the number of cyber crimes are increasing at a high rate. Keeping the severity of security attack into account, all the organizations are now hiring highly skills security professionals for the security assurance. Getting CompTIA Security+ certification will help you get an edge over the non-certified ones. 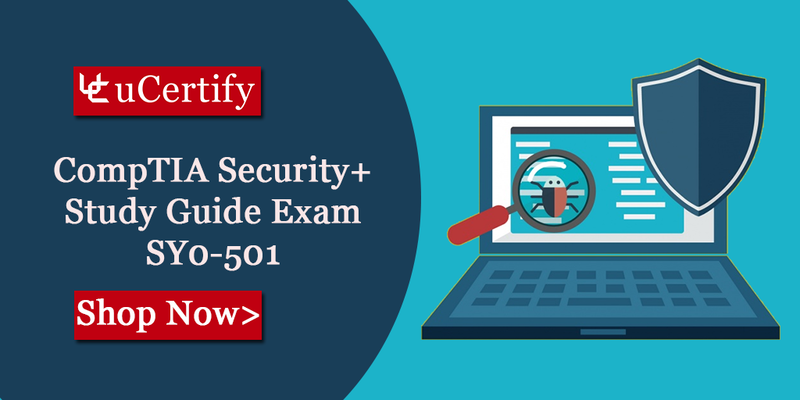 uCertify offers CompTIA Security+ Study Guide Exam SY0-501 Seventh Edition course for the CompTIA Security+ certification SY0-501 exam. The course provides you with the hands-on expertise on all the topics covered in the SY0-501 exam. The course comes with the interactive lessons and much more resources that can make you an expert in managing and applying Security policies and principles. Hurry up! Check out the uCertify course and pass the CompTIA Securuty+ certification exam in your first attempt. The comprehensive cert guide is built around the SYO-501 exam objectives that will help you gain all the knowledge. Posted in CompTIA, Course, security+. 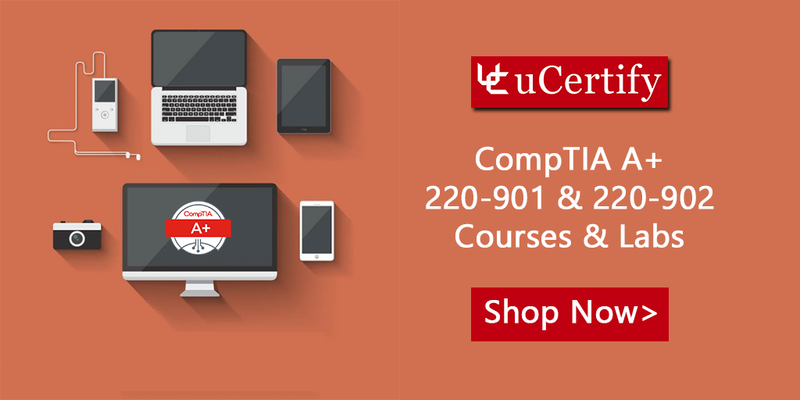 Get CompTIA A+ certification with CompTIA A+ 220-901/220-902 Cert Guide (Course & Labs). The course is a complete package of interactive lessons, test-prep, and performance-based labs. Performance-based labs simulate real-world, hardware, software & command line interface environments and can be mapped to any text-book, course & training. The course covers the complete objectives of the exam. So, don’t wait, take uCertify courses now and pass the CompTIA A+ exam in your first attempt.